It seems the more that comes out about the benefits of eating a ‘clean’ diet, the more I try and steer clear of as much processed foods as possible. For my large family of 7, I know I can not get away from all processed foods, but I’m doing the best I can to make sure we are eating as healthy as possible and cutting out foods I know aren’t great for us. One of those is creamed soups. I don’t cook with these very often, but when I do, I always try and make this from scratch. 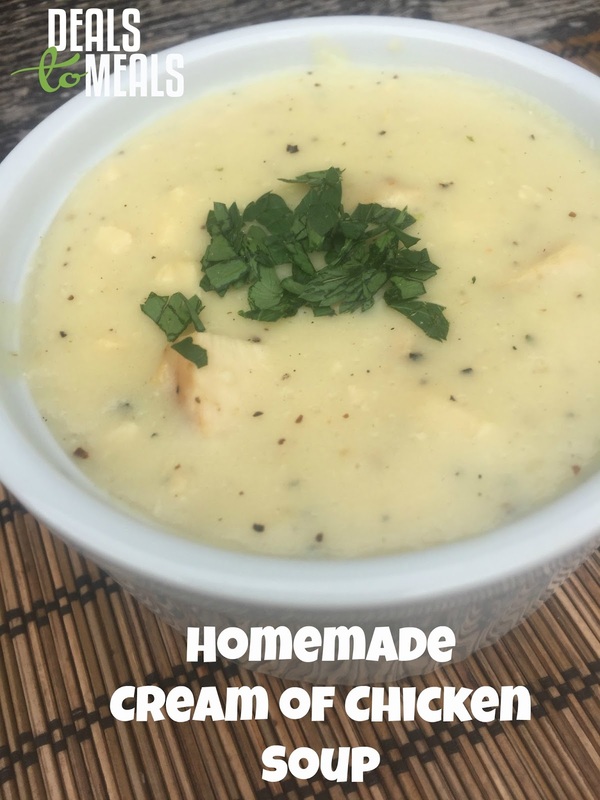 It seems like it would be a lot of work, but making cream of chicken soup from home is actually SUPER easy! Not to mention it tastes SO much better. Once you make it from scratch, you will never want to eat the stuff out of a can again. The great thing about this, is it freezes really well. So, I make up at big batch, let it cool and then you can freeze it in one and a half cup measurements (the same as what would be in a can) and then put it in a ziploc freezer bag. This way they are easy to take out of the freezer, thaw in the microwave and add to any recipes. 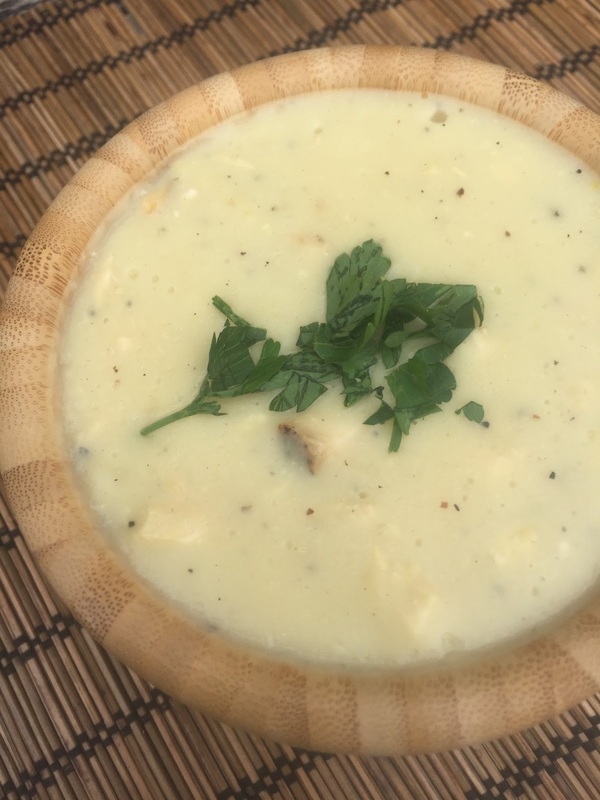 I can’t wait for you to try this and see how much better, and healthier this recipe is. Enjoy! Melt butter in medium saucepan over medium high heat. Add flour, stirring with wire whisk. Add water and dry milk and whisk until smooth and thickened. Stir in onion powder, bouillon and chicken. Serve or freeze for later use. Melt butter in medium saucepan over medium high heat. Add flour, stirring with wire whisk. Add water and dry milk and whisk until smooth and thickened. Stir in bouillon and mushrooms. Serve or freeze for later use.